Apple will drop its patent lawsuit against Samsung’s Galaxy SIII Mini after the South Korean mobile phone giant announced that it would not sell the device in the United States. Apple filed a request to the US District Court for Northern California to include the new smartphone and several Samsung products in the ongoing patent dispute between the two giant companies. 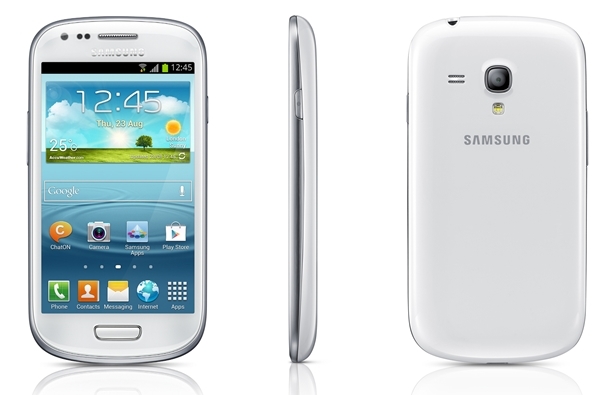 Samsung countered the petition by saying that the Galaxy SIII mini will not be available in the US. However, Apple pointed out that the smartphone was listed on Amazon US. In August, a US jury ordered Samsung to pay Apple $1.05 billion for copying patented features of the iPhone and iPad for their Galaxy smartphone lines. Apple planned to include the Galaxy mini SIII, but the iPhone-maker failed to secure US sales ban for the Samsung products. But while they scored a victory over Samsung in the United States, Apple was ordered by a Chinese court to pay 1 million Yuan ($160,400) for hosting a third-party application on their App Store that is used to sell pirated e-books. Apple will pay compensation to eight Chinese authors and two companies who filed a complaint against them for violating copyright terms. The group of eight authors was still disappointed with the decision of the Chinese court because they were asking 10 million Yuan in damages. Apple, on the other hand, said that they will continue updating their service to avoid similar incidents in the future and vowed to take copyright infringement complaints seriously.